Most people with a chronic disease actually have more than one, a condition known as multimorbidity. Despite this, the evidence base to prevent adverse disease outcomes has taken a disease-specific approach. Drawing on a conference, Improving Guidelines for Multimorbid Patients, the goal of this paper is to identify challenges to the generation of evidence to support the care of people with multimorbidity and to make recommendations for improvement. We identified three broad categories of challenges: 1) challenges to defining and measuring multimorbidity; 2) challenges related to the effects of multimorbidity on study design, implementation and analysis; and 3) challenges inherent in studying heterogeneity of treatment effects in patients with differing comorbid conditions. We propose a set of recommendations for consideration by investigators and others (reviewers, editors, funding agencies, policymaking organizations) involved in the creation of evidence for this common type of person that address each of these challenges. 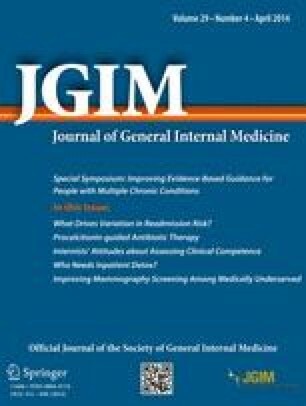 The recommendations reflect a general approach that emphasizes broader inclusion (recruitment and retention) of patients with multimorbidity, coupled with more rigorous efforts to measure comorbidity and comorbidity burden and the influence of multimorbidity on outcomes and the effects of therapy. More rigorous examination of heterogeneity of treatment effects requires careful attention to prioritizing the most important comorbid-related questions, and also requires studies that provide greater statistical power than conventional trials have provided. Relatively modest changes in the orientation of current research along these lines can be helpful in pointing to and partially addressing selected knowledge gaps. However, producing a robust evidence base to support patient-centered decision making in complex individuals with multimorbidity, exposed to many different combinations of potentially interacting factors that can modify the risks and benefits of therapies, is likely to require a clinical research enterprise fundamentally restructured to be more fully integrated with routine clinical practice. Cynthia M. Boyd, Johns Hopkins Medical Institutes (JHMI), Syndey M. Dy, Johns Hopkins School of Public Health (JHSPH), David M. Kent, Tufts Medical Center (TMC), Bruce Leff, JHMI, Thomas A. Trikalinos, Brown University, Katrin Uhlig, TMC, Ravi Varadhan, JHMI, Carlos O. Weiss, JHMI. Lawrence Appel, JHU, Karen Bandeen-Roche, JHU, Erica Breslau, NCI, Joseph Cappelleri, Pfizer, Dean Follmann, NIAID, Sherrie Kaplan, University of California-Irvine, David Kent (Co-PI), TMC, Todd Lee, University of Illinois at Chicago, Matthew McNabney, JHU, Erin Murphy, JHU, Milo Puhan, Johns Hopkins University (JHU), Sergei Romashkan, NIA, A. Sedrakyan, FDA/Cornell, Vincenza Snow, Pfizer, Ravi Varadhan (Co-I), JHU, Carlos Weiss (Co-I), JHU. This manuscript was partially funded by grants R21 HS18597 and R21 HS017653 from the Agency for Healthcare Research and Quality and UL1RR025752 from the National Institutes of Health. The authors declare they do not have any conflicts of interest. Trikalinos TA, Segal JB, Boyd CM. Addressing Multimorbidity in evidence integration and synthesis. J Gen Intern Med. 2013, doi: 10.1007/s11606-013-2661-4. Uhlig K, Leff B, Kent DM, Dy S, Brunnhuber K, Burgers JS, Greenfield S, Guyatt G, High K, Leipzig R, Mulrow C, Schmader K, Schunemann H, Walter LC, Woodcock J, Boyd CM. A framework for crafting clinical practice guidelines that are relevant to the care and management of people with multimorbidity. J Gen Intern Med. 2013, doi: 10.1007/s11606-013-2659-y. Reuters T. Web of Science 2010. Available at: http://thomsonreuters.com/content/science/pdf/Web_of_Knowledge_factsheet.pdf. Accessed September, 2013. National Heart Lung and Blood Institute. NHLBI. Available at: https://biolincc.nhlbi.nih.gov/home. Accessed August 15, 2013. National Institute of Diabetes and Dignestive and Kidney Diseases. National Institute of Diabetes and Dignestive and Kidney Diseases (NIDDK) Central Data Repository (CDR). Available at: https://www.niddkrepository.org. Accessed August 13, 2013. GlaxoSmithKline. Clinical study requests—initial members of the Independent Review Panel. Available at: https://clinicalstudydata.gsk.com/Members-of-the-Independent-Review-Panel.aspx. Accessed August 15, 2013. European Medicines Agency. Release of data from clinical trials. Available at: http://www.ema.europa.eu/ema/index.jsp?curl=pages/special_topcis/general/general_content_000555.jsp&mid=WC0b01ac0580607bfa. Accessed August 15, 2013.